Many ways lead to the nation. 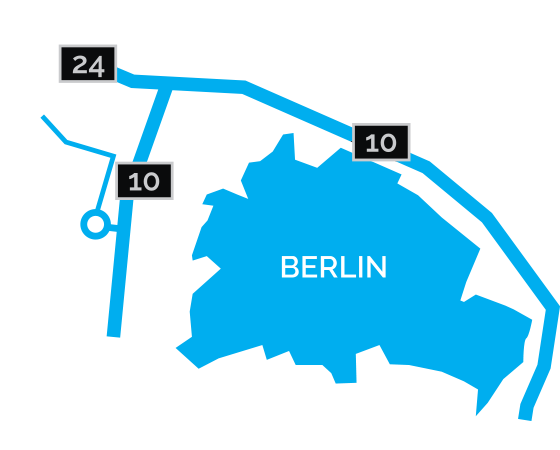 The fastest and easiest way is to take the Regional Express from Berlin main station (Hauptbahnhof) to Nauen (about 30 minutes). Transport only with valid ticket! On Monday, thinned out service! Please do NOT rely on finding space in the last bus. This means: better to leave a bit sooner to be on the safe side!